Otero County country living at it's best! Almost 2500 square foot home sitting on 1.24 acres inside Chaparral, New Mexico. Single level home with 5 bedrooms, 2.75 bathrooms + office + bonus room and another room that could be used as a master bedroom or family room with a skylight. Tile and carpet floors with wood trim throughout. 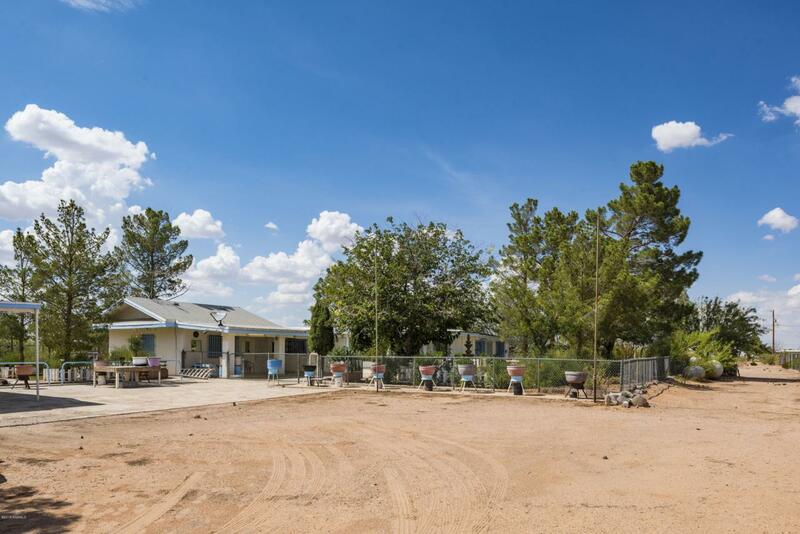 Exterior has 2 car carport but the lot is so large, there's plenty of parking available! Extended outside eating area offers several built-in tile picnic tables great for Bar-B-Qs and outdoor entertaining. Garden table to pot your plants and a huge workshop too. Fully fenced and ready for the next home owner to enjoy! Listing provided courtesy of Yvonne Rodriguez of Exit Realty Horizons: (575) 532-5678. All listing information was provided by Southern New Mexico Multiple Listing Service.